With a history of colonisation since the sixteenth Century, the development of Buddhism in Sri Lanka (previously Ceylon) was immense. In response to the colonising forces of the Portuguese (early 1600s), Dutch (from 1636) and British (Gradually suppressing the Dutch resulting in complete ownership of the Island by 1815) politics, society, economics, and education, developed and modernised, all of which had an impact on the religious sphere. 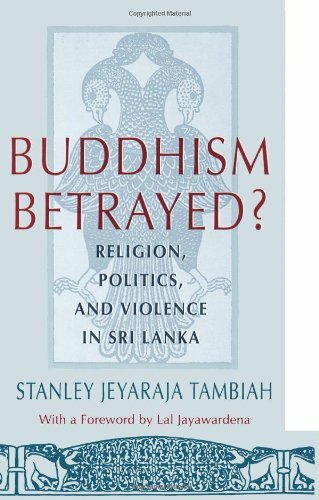 The relationship between Buddhism and the state has had a prolific impact on the modern violence of Sri Lanka. In the early twentieth century, with both the Sinhalese and the Tamils battling over what it meant to be Ceylonese, the British managed to withstand local pressures for a share in the administration of the country. The situation began to change in the 20s, when the British began to share power with representatives of the Sinhala, Tamil, Muslim and Bergher communities. Ethnic politics had manifested itself in a variety of causes, and in a variety of organisations and pressure groups designed to foster Buddhism. 1980-1905 can in some ways be viewed to be the height of cultural exchange. These cultural exchanges occurred not only in the way of statues and magazines crossing the Pacific, but also practices and people, in complex cultural flows. In 1879, British writer Edwin Arnold (1832-1904) published a life of the Buddha in free verse, which drew parallels between Sakyamuni and Jesus (without arguing that their lives were either similar or identical). This had an immediate and profound effect on literate Americans, and interest in Buddhism was on the increase. At the same time, European Buddhist studies became more sophisticated after around 1877. American scholars, after being dependant on Europe for a generation, began to make their own international contributions during the 1890s. American and European protestant missionary efforts intensified between 1880 and 1920. In 1875 the Theosophical society was founded by Helena Petrovna Blavatsky (1831-1891). It was in 1880 when Blavatsky and Henry Steel Olcott formally professed their allegiance to the Buddhist religion at a temple in Ceylon. 1893 saw the major impact of the World Parliament of religions, held from 11 to 27 September in Chicago’s ‘White City.’ And in which Buddhists from Asia had the opportunity to present their religious tradition to an overflow audience. A number of Buddhists read papers, including Dharmapala and Soyen Shaku (the Rinzai Zen master from Japan). Soyen was also influential in sending Daisetz Teitaro Suzuki to America. Suzuki, the Japanese Zen layman then went on to become one of the most important promoters of Buddhism in the West. 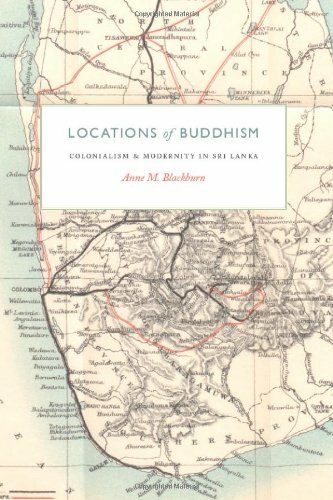 Anne Blackburn (2001) produced a view of Buddhism in Sri Lanka which can be criticised for challenging the conventional view that 19th century changes are not only caused by colonising forces. According to José Ignacio Cabezón, Anne Blackburn challenges, for example, many of the facile presuppositions of scholars working in colonialist and neo-colonialist studies. She discourages the focus from the colonial context of the revival concentrating on what she sees as textual communities within the history of eighteenth century Sri Lankan Buddhism, rather than the sole impact of the British missionaries and political and educational changes. According to Blackburn, this ‘reformulation’ of Buddhism occurred as a result of the educational advancement of monastic leaders. Specifically, Blackburn argues that the character of nineteenth and early twentieth century Buddhism was caused in part by the changes in the organisation and focus of monastic education that took place between the 1730s and the 1780s. She brings into view aspects of Sri Lankan history prior to the intensification of colonialism in the nineteenth century. Her argument is that the educational systems of Sri Lanka were significantly untouched by the powers of the Dutch, French and British colonisers. She argues for the rise of a new Buddhist textual community by looking at commentarial genre within the life of the early Siyam Nikaya. She argues that sutra sannaya commentaries had a substantial impact on Lankan Buddhism. My view fits more in line with that of Elizabeth Harris (2006) who explores the British encounter with Buddhism in nineteenth century Sri Lanka, examining the way Buddhism was represented and constructed in the eyes of the British scholars, officials, travellers and religious seekers who first encountered it. From a historical perspective Harris traces three particular time periods from 1796 – 1830, 1830 – 1870 and 1870 – 1900, providing an exergesis of cultural and political understandings that influenced early British understanding of Buddhism, and would condition its subsequent permeation to the U.S.A, UK, the rest of Europe. Harris I., [ed.] Buddhism and Politics in Twentieth Century Asia. London and New York: Continuum, 1999. Bond, George D., The Buddhist Revival in Sri Lanka: Religious Tradition, Reinterpretation and Response. Columbia, S. C. : University of South Carolina Press, 1988. Tweed, Thomas A. “American Occultism and Japanese Buddhism: Translocative History.” Japanese Journal of Religious Studies. 32 (2005): 240 – 281. Blackburn, Anne, Buddhist Learning and Textual Practice in Eighteenth Century Lankan Monastic Culture. Princeton: Princeton University Press, 2001.